At the conclusion of my freshman year a psychology major at University of Houston, God blessed me with a bundle of joy—my son, Aiden. My life’s purpose was clearer now than ever before. I had to be successful. Completing my degree was undoubtedly the first step. In an effort to help ensure a strong start to making a better life for us, my parents – who stay in Dallas – took care of Aiden for his first year of life. I returned to Houston to finish school. I eventually moved back to Dallas where I worked a full-time job but was unfulfilled. We weren’t living the life I imagined for us. A turning point came in July 2015. 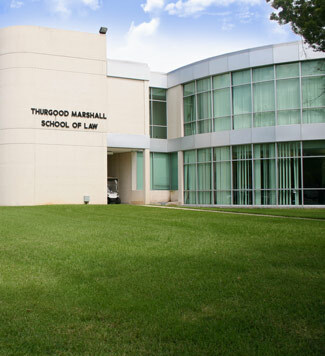 I was accepted to the law school I had been researching since I was in middle school: Thurgood Marshall School of Law (TMSL). This was a dream come true. Aiden and I moved back to Houston in August. He was five years old. 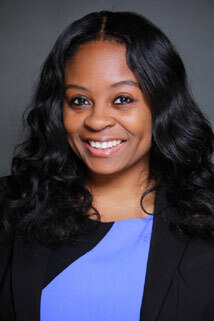 I was juggling between law school and trying to continue being a good mother to my son. It was tough but I figured out a system that worked for us. Never losing sight of my goal at TMSL kept me going. Now, Aiden proudly tells everyone that his mom is going to be a lawyer. He even feels like he is in law school himself. He enjoys spending time at TMSL— where I serve as the President of the Class of 2018 as well as the President of Parents Attending Law School Organization (PALS)—so much that when he comes with me, it isn’t unusual for me not to see him again until it is time to leave. The Class of 2018 has become an extended family to Aiden. I receive messages on social media and phone calls from other mothers saying how my story inspires and encourages them. Some have even shared with me that I am the reason they went back to school. This makes me so proud. I will graduate May 11, 2018—the same day Aiden turns eight years old. And although my journey at TMSL is coming to an end, this is just the beginning for us.